It's another busy day in the world of technology, but we've got all the news stories that you need to stay in touch with, courtesy of our friends at TechRadar. Read on for updates about incoming hardware from Samsung, Huawei and Amazon, and a new Fortnite rumour. Leaks around the upcoming Galaxy Note 9 – due to be unveiled on the 9th of August – just keep coming, and at this rate Samsung won't have much left to surprise us with. Today we've got a handful of Note 9 accessory renders that show off the new S Pen stylus and the new colours that the Note will be coming in – black, purple, brown, grey, blue and lilac. 2. Could Fortnite end up being a Samsung exclusive? 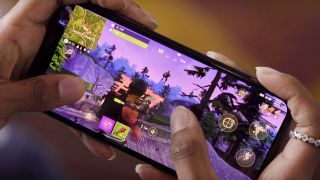 Speaking of the Note 9 launch, another bit of tittle-tattle to hit the web suggests that Fortnite for Android will be a Note 9 exclusive for 30 days, which would certainly give Samsung fans and keen mobile gamers another reason to pick up the handset when it arrives. That's according to insider sources, so don't take it as set in stone just yet. It goes without saying that Amazon is of course always working on new versions of its Echo speakers, but we might just have been given a sneak preview of the Echo Dot 3, with added fabric. The rest of the design looks to be largely unchanged. A launch could be imminent, though none of the reports we've seen are speculating on when the speaker might arrive. Apple recently unveiled a new set of MacBook Pros, but it sounds like more changes are in store for the iconic laptops: a newly revealed patent shows inductive charging happening between Apple devices, so a MacBook could charge an iPhone, and vice versa. Quite how long it's going to take this to get to market isn't clear, but we're interested already. We've heard plenty of rumours around a foldable Samsung Galaxy smartphone that's due to be launching next year, but fresh speculation suggests Huawei might have a foldable phone of its own in the works – and could launch it even earlier than its rival. That's according to industry sources, so we'll have to wait and see who wins the race to market.